iFroz has launched a new pair of headphones, which ae designed to work with the iPod and iPhone, the iFrogz Vertex. The new iFrogz Vertex headphones will be sold exclusively through Best Buy. The iFrogz Vertex headphones feature a built in remote and microphone, so you can use them to make and receive calls on your iPhone and they also feature a pair of 40mm drivers. 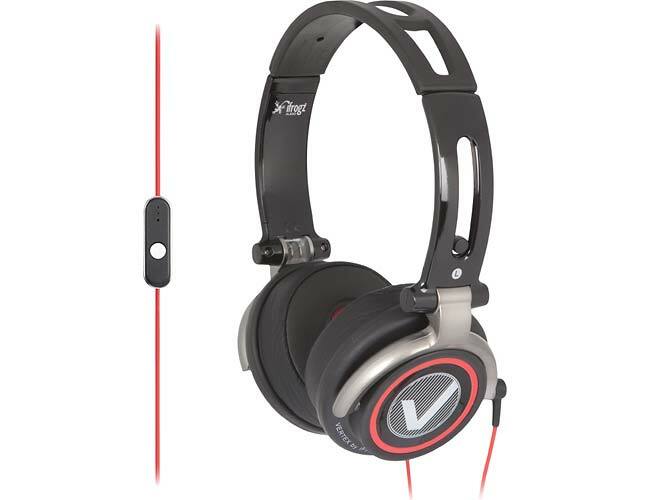 The Vertex will be available in a range of colors, which include black/red or grey /white and they will be available shortly from Best Buy for $49.99.